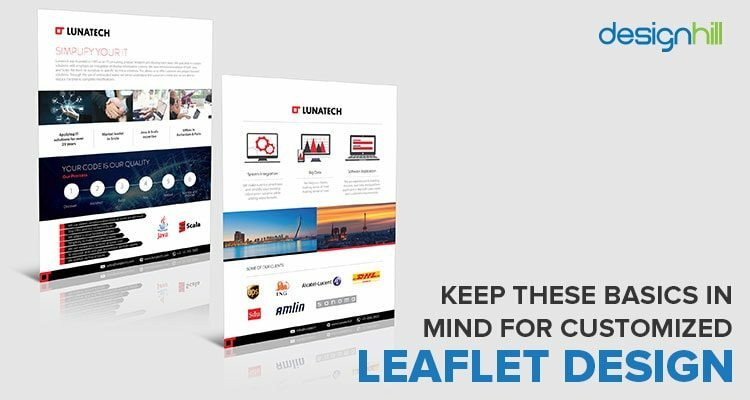 Custom Leaflet Designs – How They Impact Your Business & Brand? Check out How They Impact Your Business & Brand? Leaflets are cost-effective marketing material for small business owners. But this one-leaf simple direct marketing way can draw the attention of potential customers. Just random distribution of leaflets to people will drive hundreds of target customers to your business. 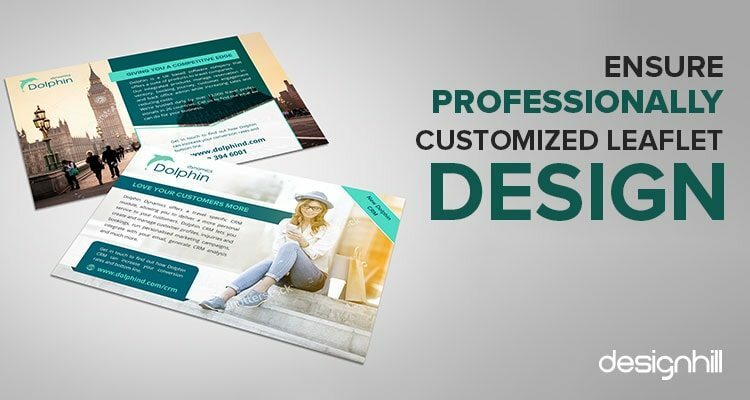 However, your leaflet designs must be unique to get best out of this low-cost business promotion method. Providing right information to your target customers is extremely crucial for achieving your marketing goals. One of the most effective and proven ways of meeting business objectives is direct marketing. This form of taking your business to masses involves getting information to your customers directly. In direct marketing, means of direct mails such as leaflets were traditionally popular with businesses and it continues to be so in the modern era as well. Despite being one of the oldest means of business promotion, leaflets are still favorites of many marketers even today. These marketing tools come handy for entrepreneurs when they need to spread a word about their business across the city. All they need to do is to distribute a piece of content that they have created to the passers by or just wandering around on streets. Alternatively, distribute leaflets by the sideline of an event to the people to promote your business. However, make sure that your leaflets are attractive and professionally designed so that they are able to grab the attention of people who are busy with their lives or other events around them. Creating custom leaflets for your business is the cheapest way to market your products or services amongst the target customers. However, cost-effectiveness is not the only advantage of business leaflets. 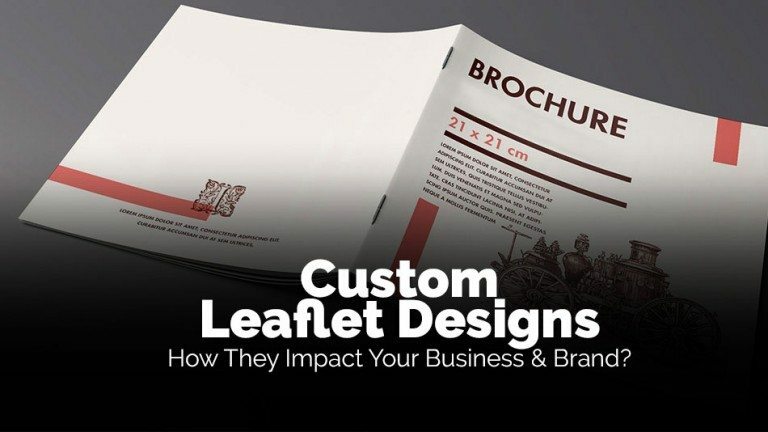 A well-designed leaflet drives customers to your business in many ways. Every business wants to take its message to the customers as quick as possible. 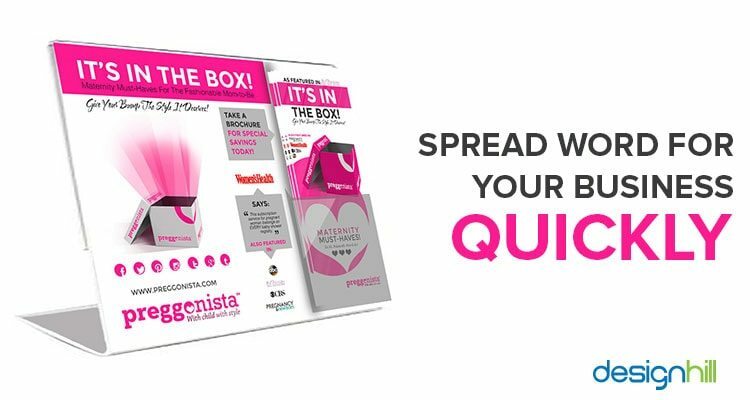 While other marketing means involve intense efforts and days, even months, before people know about it, leaflets do this job quickly. Looking for a leaflet design? 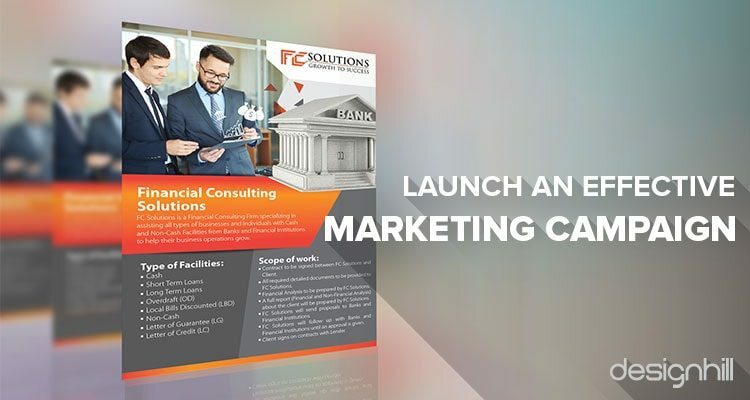 For example, your information regarding your new product launch will be available to the people just as you hand out your leaflet to them on sidelines of a business event. Or, all you do is to distribute leaflets by the road side to the people passing by and they come to know about your business that very moment. This will also help you compete well with your business rivals. Many businesses, especially the new entrants, depend a lot on leaflets to lower cost on the marketing front. After all, all it takes is the printing cost of the paper! Moreover, color scheme, typefaces and other design elements of leaflets are usually printer-friendly. Therefore, printing becomes a lot easier and less costly with no additional technology required. However, to keep the cost benefits, make sure that you adopt right distribution strategy. For example, distribute leaflets only to your target-customers at the right places. Such leaflets can significantly help your business. Distributing leaflets to anyone and everyone blindly may unnecessarily increase your overall cost. Also, avoid printing very large leaflets. These not only cost more and become a burden on your marketing budget but are also unnecessary. It would be wise to use small leaflets with precise information. However, make sure that you create an impressive leaflet design for taking your brand message to people in a cost-effective way. Your leaflet design must be a unique concept. Its colors, typeface etc. elements should be strategically incorporated. If you want one such leaflet for your business promotion, crowdsourcing site Designhill can help. This marketplace has hundreds of talented leaflet designers who will submit you their unique design concept. If you do not like their designs, the site will refund your entire amount under its 100% Money Back Guarantee scheme. Your small business may be in its early phase when you are not available with many resources and using the whole gamut of marketing tools is not a possibility. In such a case, leaflets come handy for reaching out to masses. In fact, your business can spread its wings on launching a campaign based solely on leaflets marketing. In fact, a whole day’s campaign of distributing leaflets from different centers of your city will let a large number of people know about your business. In addition, if the campaign goes on for few more days, this can translate into thousands of people knowing more about the products or services you offer. And, this is not a mean achievement for a business with a meager financial ability! The above-mentioned benefits of custom leaflet design are accessible only to those businesses that take extra care in designing their leaflets. When creating your leaflet, make sure that it’s color scheme, fonts, logos and other elements match with the elements you used elsewhere in your marketing campaign. For instance, if your business uses blue as the main color and bold typeface, then use the same color and font in creating your leaflets. This quickly tells the customers that they are getting information from an authentic source. Another consideration to make is to ensure a customized design. Your leaflet design must reflect your business attributes. Therefore, ask your designer to take into account the values your business stands for. Make sure that the designer knows your company, business, products or services, your target customers and market. This information for designers is important for creating leaflets especially for your audience. • Prefer A Simple Design – People have no time to gauge at your leaflet if they have to find out what the design stands for. The design should be simple, with use of few colors and fonts. Fancy leaflets with too many images, icons, styles fonts and splashing of many colors will only add to the confusion of the viewers. • Present Information Precisely – Leaflets should provide only relevant information so that people know what they must know about your business on the move. Therefore, give only find points in bullets to grab the attention of the people. • Adopt Right Tone – Your leaflet must address people in a friendly tone but it should be straightforward at the same time. Address your customers directly and come to the point immediately. 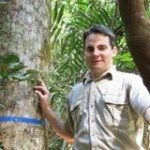 • Choose Right Size – Choose the right size of leaflets. Your leaflets should not be too large as they may be too costly. Too small size of leaflets also is not desirable. A medium sized leaflet will be the perfect choice for a cost effective leaflet. 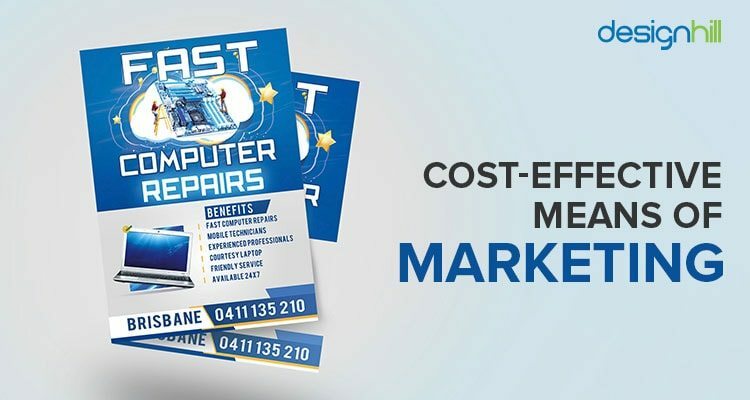 Surely, customized-leaflets are the best means for marketing your small and medium business as it’s cost-effective and quick in delivering the results. Nevertheless, if you find creating a professional leaflet design difficult due to high costs, you can crowdsource the design work. Customized leaflet designs are specially created keeping a certain business’s design needs in the mind. Such a leaflet design addresses a specific set of customers of a business by incorporating typeface, colors, etc elements accordingly. To make sure that leaflet conveys a brand message and draws the attention of the target audience.